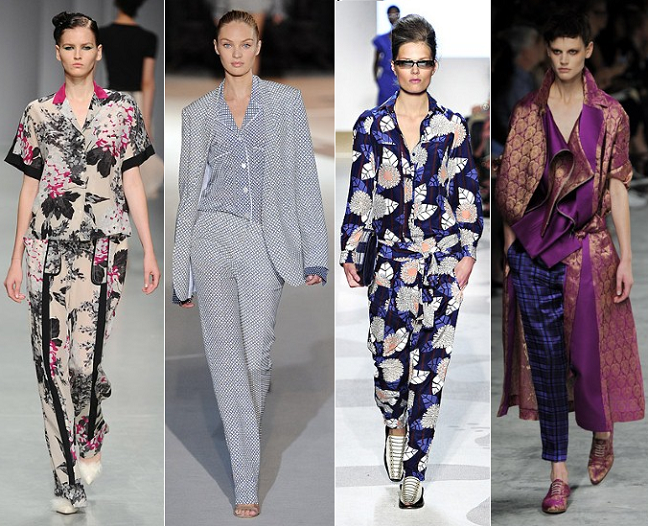 I know we were first introduced to this trend back in February at SS/12 Fashion Week but I have seen more and more pyjama sets hitting the high-street and some are just fabulous. I finally caved in and tried a set on for the first time this week and I am hooked. I must admit, at first I did think PJ's just belonged in the comfort of your home, but when the high-street is pulling off this catwalk trend so beautifully it's hard not to want a piece of it? This is me trying to pull it off in a H&M Trend set... What do you think? The people I see at Walmart in the middle of the night will be psyched for this trend! I think it's cute. ♥ But it seems like the kind of trend that could go very wrong very easily.